Born 1926, East Linton, Scotland. John Aitchison is an award winning statistician who has been an Honorary Senior Research Fellow in the Department of Statistics since 1995. Prior to this he was Titular Professor and Mitchell Lecturer on Methods in Statistics from 1966 to 1977, and a Lecturer in Mathematics from 1956 to 1962. A graduate of Edinburgh and Cambridge, he joined Glasgow's Department of Mathematics in 1956 after lecturing in Cambridge. In 1976 he was seconded to the University of Hong Kong, a post which he decided to make permanent and where he stayed until 1989. There he had a significant effect on teaching and research and his Department flourished. He was a founder member and President of the Hong Kong Statistical Society. In 1989 became Professor and Chairman of Division of Statistics at the University of Virginia. 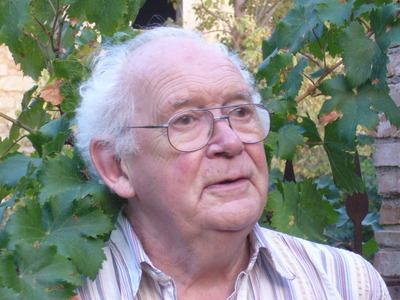 For his groundbreaking work on compositional analysis, he was awarded the Guy Medal in Silver by the Royal Statistical Society in 1988 and a Krumbein Award from the International Association for Mathematical Geology in 1995. This is its highest award, for exceptional contributions to mathematical geology. He became a Fellow of the Royal Society of Edinburgh in 1968.